In the war for talent, the last company standing is always the one that finds the best employees and integrates them quickly and effectively into the organization. This quick-access guide provides the tools and strategies you need to select, recruit, interview, and onboard every kind of employee--from Next-ers and Millennials to baby boomers and nontraditional workers. 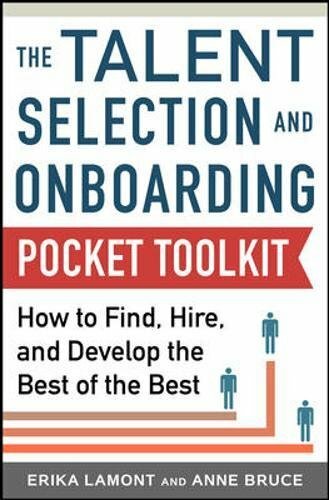 Packed with strategies, tactics, and tips you can start putting to use right away, The Talent Selection and Onboarding Pocket Tool Kit gives you instant access to create a powerful workforce that will launch your company to the top.